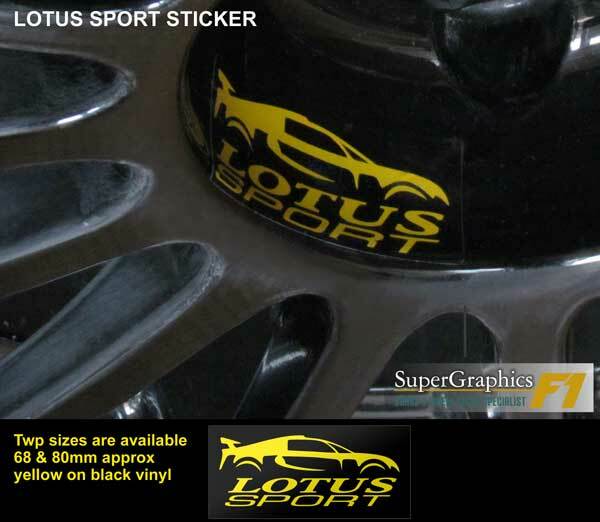 Brake decal stickers to restore your Lotus Excige or Elise AP racing brake calipers to their former glory @ �2.99 each. 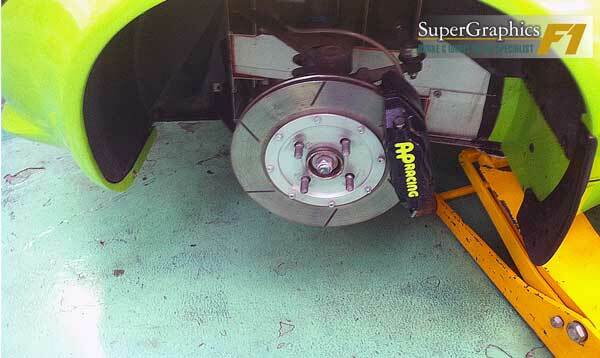 Sized�to fit an AP caliper for the front brakes. 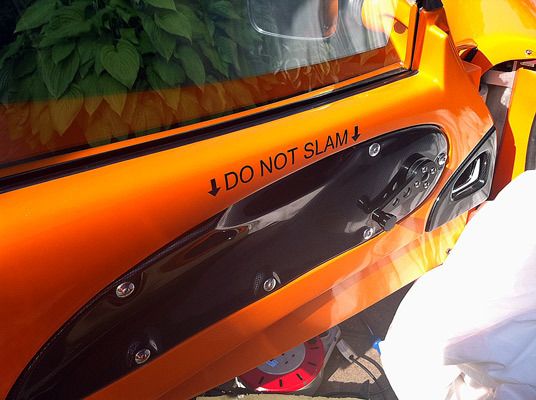 This die cut door decal sticker will tell your passenger not to slam the door when closing. We only use Ultra premium vinyl for professional application as with all our graphics they are fantastic quality made to the highest standards. 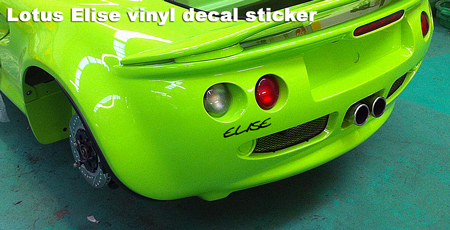 Die cut 'Elise' decal sticker to restore your Lotus to its former glory. 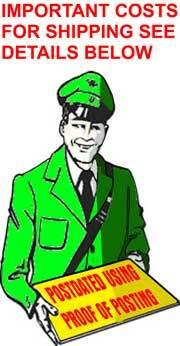 Die cut decal sticker to restore your wheels to their former glory. 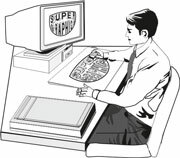 This is a printed sticker to fit the inner wheel rim like the factory version which is a printed regtangular sticker. 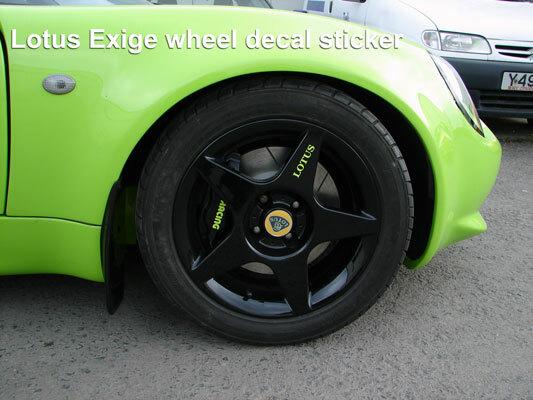 This die cut inner wheel decal sticker is a cut version so you are only left with the yellow section not like the factory version which is a printed regtangular sticker. 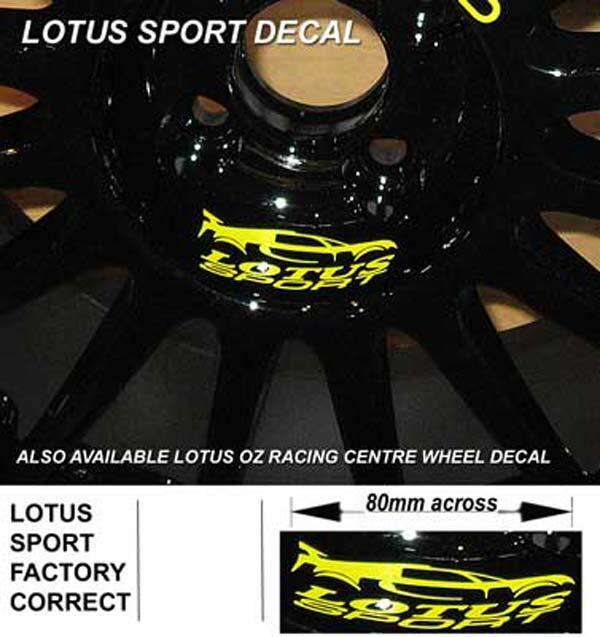 Wheel decal sticker OZ racing to fit Lotus WRC wheel centre Exige, Elise etc �3.49 each. 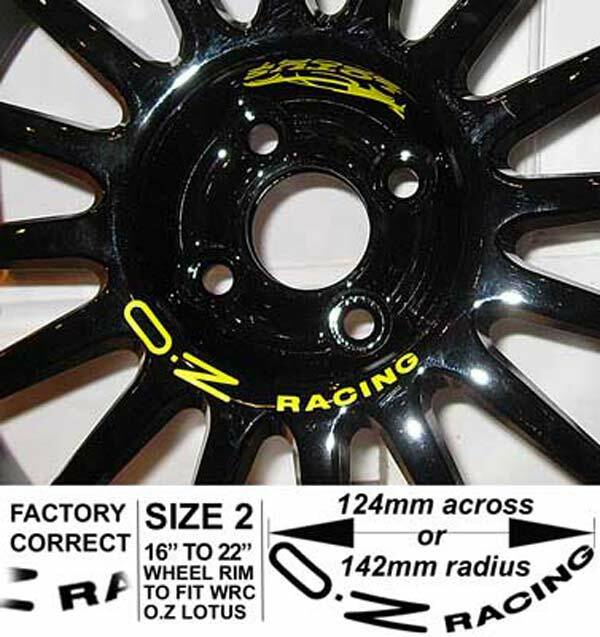 This die cut wheel rim inner decal sticker is a cut version so you are only left with the yellow section not like the factory version which is a regtangular sticker.